I guess it has been invented! 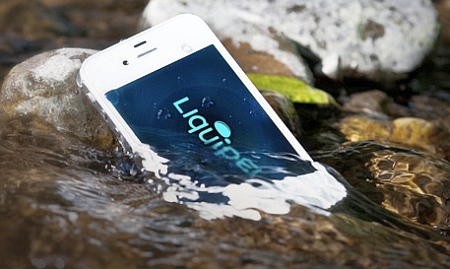 A waterproof shield you can apply on your cell phone called Liquipel. I guess this stuff is a Nano molecular coating that is so small you can’t even detect that it is on your phone. According to the website it permanently bonds to the surface of your phone. If this is the real deal, this will save allot of our phones and maybe in the future tablets, cameras and whatever else can get ruined if it falls off the boat and into the water. Does it work? Who knows, the videos on their site seem legit. Check out the Liquipel website here. We started a discussion on the forum please add your 2 cents here.